The Lai family came to this country with little more than the clothes on their backs. But with talent, vision, and plenty of hard work, they raised their children and made a success of their businesses. Yes, the Lai family has truly lived the American dream. But the reality wasn't always so bright. Husband and wife Nhu Lai and Thuyen Luu, together with their eight kids, fled Vietnam in 1978 by boat to Malaysia. They spent nine months in Malaysian refugee camp and then boarded a plane from Malaysia to Philadelphia. By 1982, they had saved enough money to start a grocery store in West Philadelphia. In 1984 they saw a new opportunity, and started a tiny restaurant called Vietnam on the edge of the city's vibrant Chinatown. Despite its diminutive size and simple decor, the restaurant soon earned a reputation for it's outstanding food. In fact, it could barely contain all the people who wanted a taste of this exciting cuisine! The couple worked seven days a week to build their two businesses. 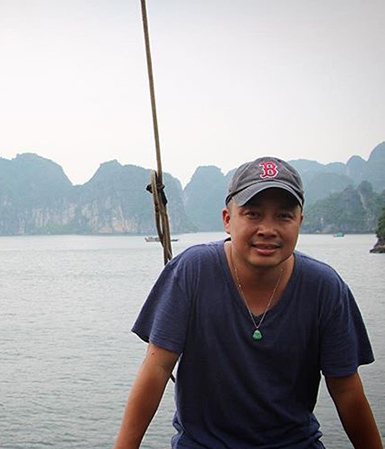 In 1989 Nhu Lai and Thuyen Luu turned Vietnam over to their son Benny, who has lifted the family's dream to a whole different level. The beloved "hole in the wall" has evolved into a handsome space that includes the upstairs lounge, Bar Saigon. Benny Lai was just a toddler when his family escaped Stalinist Vietnam after the war. The family traveled in a small wooden boat, cramped together with dozens of other families, without sufficient food, water, or fuel. After a long and arduous trip, the Lais spent months in a refugee camp before gaining access to the U.S. None of them spoke English. They had suffered unimaginable losses, yet their strong work ethic and unwavering sense of optimism united. They worked together to rebuild their lives in America. When they finally settled in Philadelphia, Benny was able to start school. He became the family interpreter. 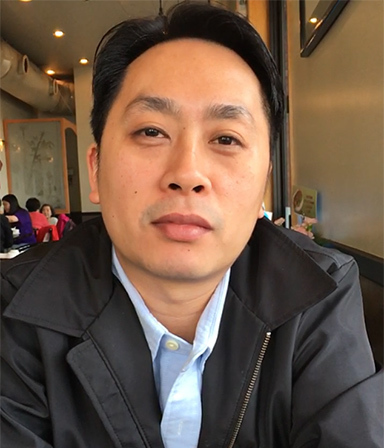 His father noticed that other Southeast Asian refugees in their University City community were yearning for the culture and cuisine of their homeland. So, he decided to trek to New York and purchase ethnic foods to share with friends in Philadelphia. Over time, he earned the respect of his vendors, and was able to build his business. He used his new found purchasing power to open a small grocery store at 47th and Baltimore Streets. Fu Wah Market located just steps from Vietnam Café still serves the community today. In addition, the convenience store has become widely-known as a destination for urban food lovers seeking an authentic banh mi sandwich (lovingly known as a Vietnamese hoagie). At a young age Ley Lai joined the family business. Working at Vietnam Cafe since 2008, Ley has become an integral part of the team. As Kitchen Manager he prides himself on selecting the freshest ingredients to ensure the highest quality food. Ley’s passion for travel brings authenticity and warmth to every dish. 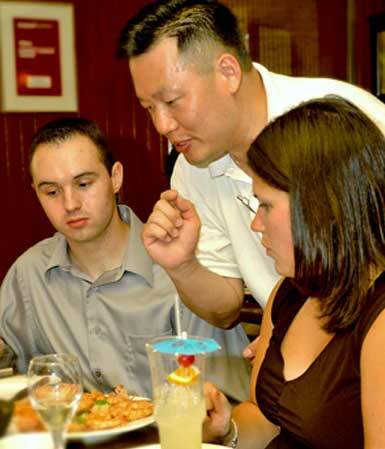 Dave Lai is proud to be the Director of Operations at Fu-Wah, Since 2005, Dave has been expanding Fu-Wah’s culinary operations. He ensures quality of the the products sold in the market and has perfected Fu-Wah’s Banh Mi. Since Dave has taken over operations at Fu-Wah they have gained national attention for their now famous Vietnamese Hoagie, being named one of the Best Sandwiches in Philly by Food and Wine Magazine. Always reaching for ways to improve the family's standing, the Lai's sensed an opportunity to expand beyond the grocery store. In 1984 they opened Vietnam Restaurant in Chinatown. Their friends and neighbors supported the authentic ethnic eatery, and before long, non-Vietnamese customers quickly became enamored with the sparsely-decorated eatery that featured recipes from the family's home kitchen. And then Benny started helping out. His warm personality added to the restaurant's appeal, as new patrons became repeat customers, the business began to flourish. In 1989, the family transferred ownership of the restaurant to Benny. A decade later, Benny began a major renovation of the space. Over the course of the next year, Benny transformed the Lais' "hole-in-the-wall" eatery into a glowing tribute to the family's Saigon roots. Experience the fine art of giving. A Gift Card from Vietnam Restaurant makes the perfect gift for co-workers, friend and family.